Cryptocurrency has brought with it a number of alternative coins to Bitcoin, which are better known as altcoins. These altcoins differ from the original cryptocurrency, Bitcoin, through its use cases and potential value. For example, Ethereum was built off of Bitcoin by adding smart contract functionality, a POW (proof of work) back-end, and a platform for them to be used and enforced on. There are coins such as po.et and others that offer unique use cases and value to the end user. Recently, these altcoins have caused a surge of interest around a new phenomenon called an initial coin offering (ICO). These ICO’s have raised hundreds of millions of dollars in some cases, all just from the potential value they aim to bring to the crypto sphere. Similar to buying a stock, an ICO is a chance for investors and interested parties to purchase the altcoin a particular project is offering, in hopes to capitalize off of the increase in value the company will experience after the ICO is closed and the company goes live. 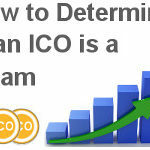 The ICO mechanism is similar to that of an IPO, used by traditional companies to offer interested parties throughout the public sector a chance to buy stock early before any growth occurs, the difference being that ICO’s sell tokens which can offer utility and a mode of currency to be used within or exchanged outside of the platform. With a large portion of their total money being raised in 2017 alone, ICO’s have been able to raise nearly $2.3 billion in funds since their inception. After the DAO was able to raise $150 million in 2016, the ICO craze had officially begun. Spectators saw how investing heavily in a coin-based company early could result in massive profits if the project was able to take off. ICO’s function like a crowdsale, where people can offer support for a company by purchasing their “token”, one that is required for the platform to function or simply to be used within the platform by the end user. ICOs come with risk, and in order to make a sound investment into an ICO, you must perform your due diligence. For example, there have been many initial coin offerings that have failed because the token being offered did not offer utility or security, and the company was unable to achieve a growth in price. Great ICOs do not just represent large returns, and have much more depth than most people realize. New services that leverage blockchain technology and use token-based models do so to allow these tokens to be used as a mechanism for the exchange of information and value within their platform. The more buyers and holders of a certain altcoin, the greater demand and user base that company will experience. This has paved the way for a token sale to become a new model of crowdsourcing, where the line between buyers and users has been blurred. Let us imagine that 5,000 new users sign up and buy tokens in an ICO. This not only provides the ever-elusive initial funding for further development, scaling, and expansion, but it also jump-starts the underlying service with a community of users that can use these tokens and drive up the price of said token. One example of this was the Bancor ICO, which took in over $153M in its ICO. These early buyers of the Bancor token are the most likely future users and adopters of the core protocol and services that Bancor provides, as well as the support team that will help sustain it. IPO’s are when a company offers its shares or stocks to an exclusive sector of the public, for the sole intention of collecting funds for business expansion and development. While this sounds similar to what ICO’s are doing, there are five key differences between ICO’s and IPO’s. ICO’s (for now) have little regulatory oversight, while IPO’s are heavily regulated. ICO’s are short in duration, while IPO’s last much longer. IPO’s are exclusive, ICO’s are open to anyone. IPO’s aim to collect dividends, while ICO’s promote adoption of the company and its associated services/platform. ICO’s have a sordid history, and IPO’s have been used in business for years. Unlike an IPO, owning ICO tokens does not mean you have ownership of the project or its company, but it does give the ICO owners governing rights on the platform as well as access to that token’s utility. There are a number of ways in which investors of an ICO coin can reap future benefits. This depends entirely on the coin’s design and utility in combination with the goals of the project and whether they are ever met. A coin’s value often correlates directly with its perceived utility. Some coins generate their value by conferring a stake in the future revenue of the projects, while others equate its value to usage within the ecosystem developed by the organization it represents; i.e. the more adoption and use of the coin, the higher its value will rise. When buying traditional stocks, buyers normally receive equity, or partial ownership in the company that is associated with the stock being purchased. Most ICO’s do not function in this way, rather, they allow for buyers of these tokens to have access to their utility and usage of the blockchain powered platforms they power. A perfect example of a utility token would be the underlying POE token that represents the po.et project. Po.et is a platform that aims to decentralize the creative sector – meaning that they are hoping to provide a way for content creators to maintain ownership of their content (through ethereum-based smart contracts) throughout the duration of its digital life. Users of po.et who license their content through the platform will be able to “lock” this content under their own licensing terms, eliminating any chance of unauthorized use. This token, as described on their website, aims to bootstrap the network by attracting early users and contributors of content to the platform, to raise funds for the continued scaling and development of the platform, as well as to provide a mechanism that incentivizes and rewards early adopters of the platform. In contrast to utility tokens, security tokens would be more similar to the characteristics an IPO provides – in that they will include equity in the company or guaranteed future returns. Recently, there have been venture capital firms that have unveiled ICO’s as securities, selling participation in the fund through a liquid digital currency offering. While regulation on these types of securities remains beneficial for participants, too much future regulations could hinder the capabilities of innovation these projects could offer society. As recent events in China have shown, governments across the world are hesitant to the massive profits being incurred from ICO’s. 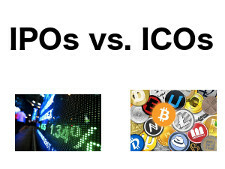 In the end, ICO’s are very similar to IPO’s except for the utility and digital currency that is sold. This factor makes ICO’s much more versatile than a traditional stock offering, and we have only seen the beginning of what an ICO and its underlying token is capable of. 2018 is poised to be an exciting year for ICO’s and we are bound to see some never-before-seen business models and use cases for smart contracts and more, in what is shaping up to be a complete renovation of the traditional business model.